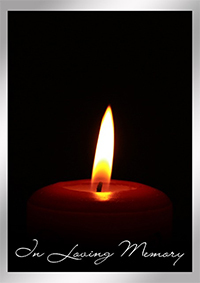 Don Catchen & Son Funeral Homes 3525 Dixie Hwy Elsmere, KY 41018 Dec. 1, 12 p.m.
Maurer, Joseph Scott, 47, of Walton, Ky. passed away November 25, 2018. He worked construction as a carpenter. Joseph is survived by his Parents; Tommy and Ruth Maurer, Sons; Triston Hall, Abraham Jacob Hall, Sister; Lori Maurer and 3 Grandchildren. Visitation will be Saturday, December 1, 2018 from 11:00 Am – 12:00 PM at Don Catchen and Son Funeral Home, Elsmere. Memorial Service will follow. Don Catchen & Son Funeral Home, Elsmere, Ky assisting the family.